The promotional materials for Northeastern University state that it is a “University on the Move,” and it is! It’s on an exciting trajectory of growth and innovation and making a major investment in interdisciplinary health research and innovative degree programs in health informatics and personal health informatics. Northeastern has identified health as one of three major strategic initiatives and has done an unusual amount of faculty hiring in personal health informatics, data science (with a health data emphasis), health systems, health policy, health and administration, and game design (with some health emphasis). The University is a leader in interdisciplinary research, urban engagement, experiential learning, and the integration of classroom learning with real-world experience. For an overview of the University’s dramatic rise in rankings and reputation, read Northeastern’s 2018 Institutional Accomplishments document. It is fun to do research at a university that is dramatically changing and improving, and one that is so devoted to transdisciplinary work. Northeastern's urban campus is located in downtown Boston, along the Avenue of the Arts. Founded in 1898, Northeastern University has an enrollment of more than 17,000 undergraduate and 7,000 graduate students and approximately 4,300 faculty and staff. 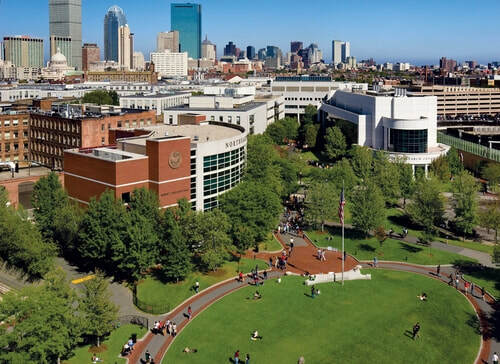 Situated in downtown Boston, it is one of the nation’s most dynamic private educational institutions. Northeastern University is recognized as one of the top universities in the nation for experiential learning and has risen rapidly in the U.S. News and World Report’s rankings of top 100 U.S. research universities in the last few years (to #39 in 2017). The mHealth Research Group is a part of the Khoury College of Computer Sciences (Khoury) and the The Bouvé College of Health Sciences (Bouvé) and affiliated with the Personal Health Informatics Doctoral Program. For some information on Khoury, watch the Khoury “Faculty Voices” video. The “I am Bouvé” and the “Behrakis Tour” are good videos on Bouvé. The Personal Health Informatics Doctoral Program website has more information as well. The “What can you do with a PhD in personal health informatics?” may be helpful. 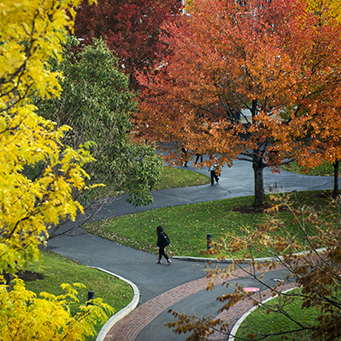 Health is one of three areas of strategic focus at Northeastern. On campus, there are other complementary efforts in the health domain that address topics with ties to mHealth that our students can take advantage of, including the Center for Health Policy and Healthcare Research, the Center for Health Policy and Law, the Institute on Urban Health Research, the Dietary Assessment Center, the Affective Science Institute, the Center for Community Health Education Research and Service, and the Network Science Institute. Northeastern is a member of the Tufts Clinical and Translational Science Institute and the Consortia for Improving Medicine with Innovation and Technology (CIMIT). Northeastern also has a strong program in entrepreneurship, with the High-Tech MBA, and overall the University has many programs that foster entrepreneurship in health (see a nice video on the Health Science Entrepreneurs Program).